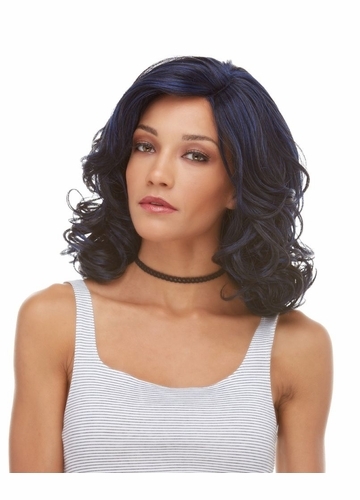 Reagan wig is our premium quality hand tied lace front shoulder length wig with layered front wig and natural J-part. 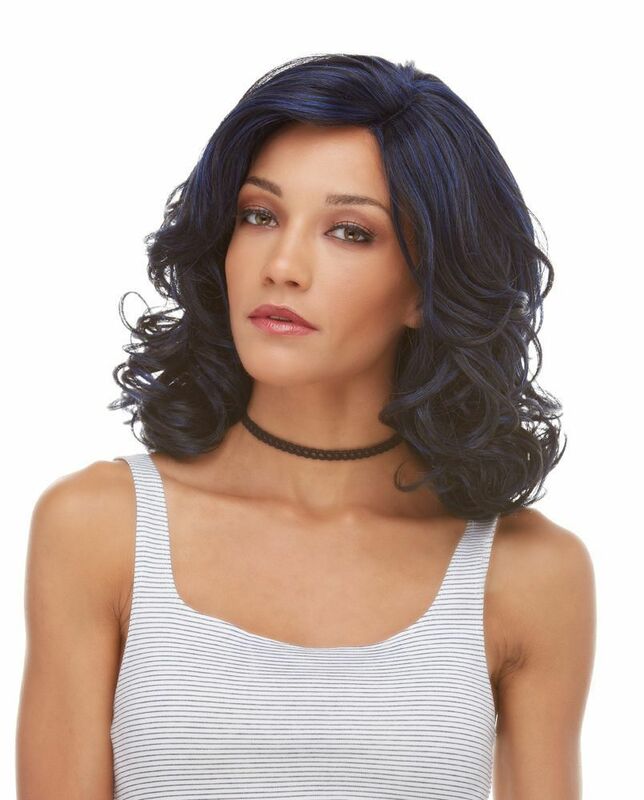 Premium quality adult size wig in silky radiant synthetic hair fibers resistant to heat styling with hair dryer and straightening iron. 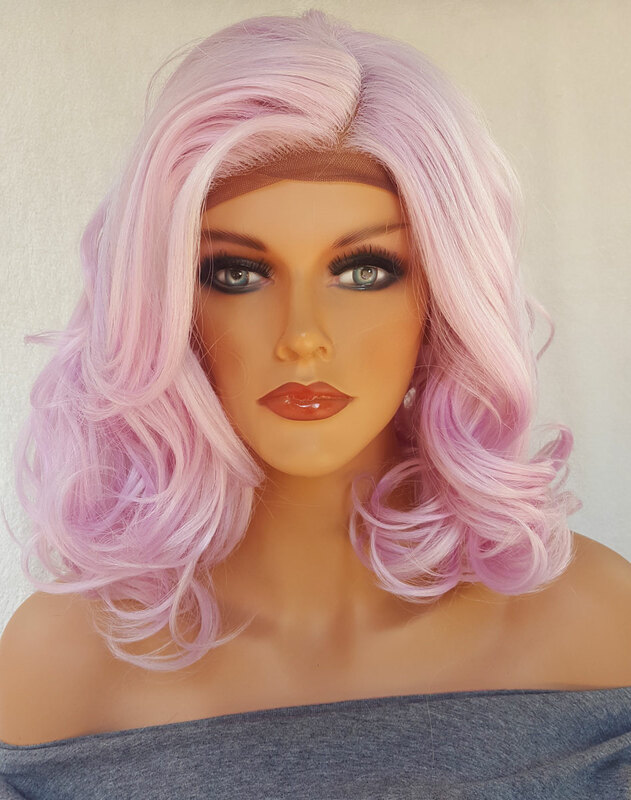 Swiss lace with hand tied lace patches and natural J-shaped side will make this wig feel like your own hair. 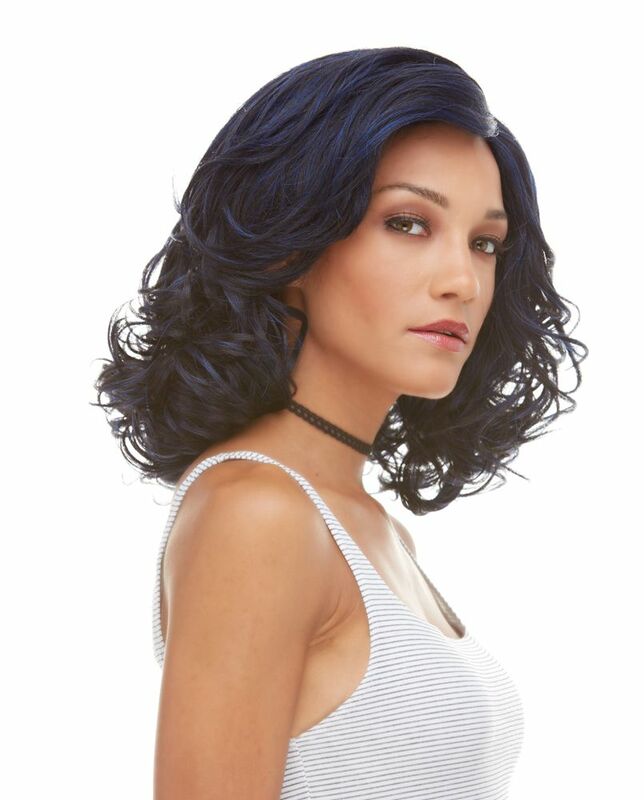 Model is wearing this wig in brand new custom blend of black and dark blue called Oxford Blue.